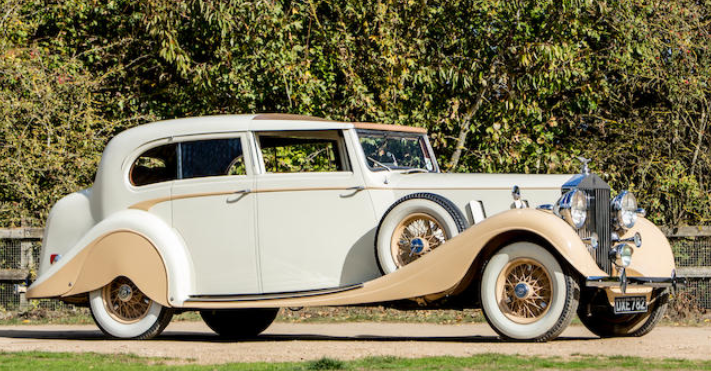 This car now makes the Phantom III the Rolls-Royce model we’ve featured most. Built between 1936 and 1939 (yes, this is listed as a 1935… perhaps it was a very early example titled based on the date it was constructed), the Phantom III wasn’t a huge seller. Only 727 units were built. It’s powered by a 7.3-liter V12 and horsepower was, of course, adequate (okay it was more like 160). Every one of them was coachbuilt, and this car carries a very pretty Sedanca de Ville body from Gurney Nutting. What’s so special about it? Just look at it. That color scheme… those swoopy front fenders… and those rear wheel skirts. It’s the complete package! It should sell for between $180,000-$230,000. Click here for more info and here for more from this sale. 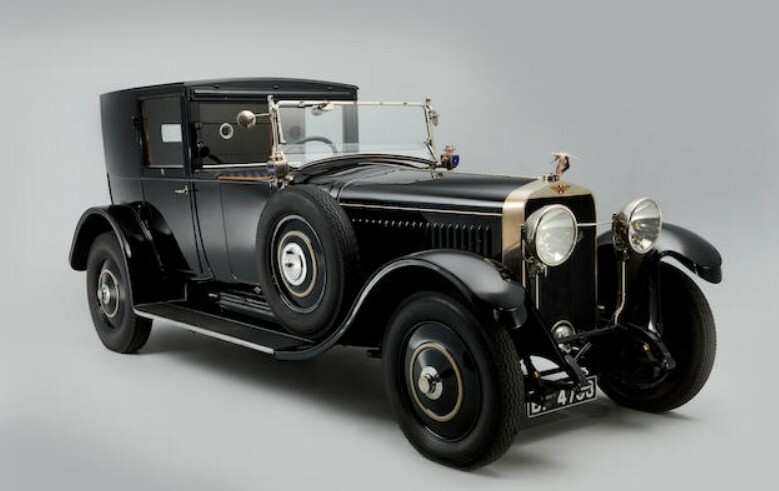 The H6 was a line of Hispano-Suiza automobiles that were built in France (for the most part) between 1919 and 1933. The H6B was introduced in 1922 and could be had through 1929, even though the more powerful H6C was also on sale for most of that time. The H6B features a 6.6-liter straight-six making 135 horsepower. This car was bodied by Kellner of Paris and sold new to a Parisian owner. In 1967, it was discovered in a French warehouse in all-original condition and was then restored. Refurbished in Switzerland in 2003, the current owner has had the car since 2008. Tell your chauffeur to get their hat ready, because this car is expected to bring between $420,000-$550,000. Click here for more info and here for more from Bonhams. Imposing. 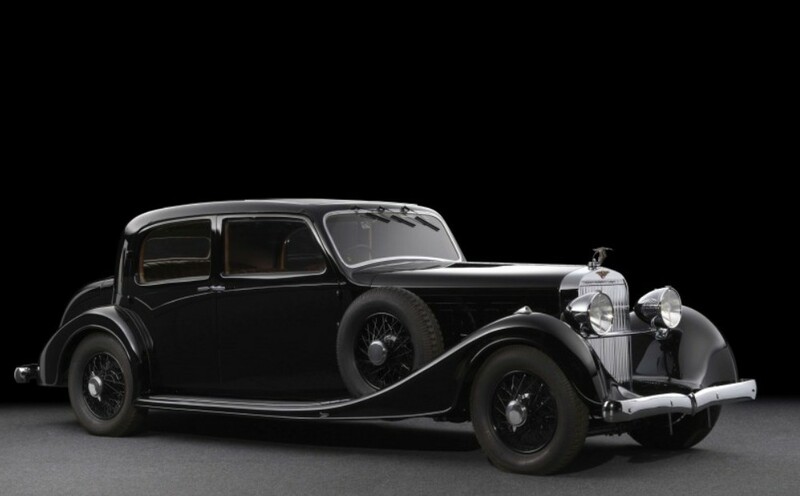 That’s the word I would use to describe this beautiful Hispano-Suiza. And imposing was probably the point as it was ordered new by a Maharaja. This was Hispano-Suiza’s grandest automobile, produced in limited numbers between 1931 and 1938. How limited? They only made between 100 and 120 of these cars – all sold as bare chassis only. The owner got to have the car’s body custom built. This one wears a huge, sweeping sedan body by Gurney Nutting. The J12 is powered by a massive 9.4-liter V-12 that normally makes 220 horsepower. An upgraded engine displacing an additional 1.9-liters was available and it brought an additional 30 horsepower. It is believed that this car carries one of those very rare engines. Formerly part of the Blackhawk Collection, it is being sold with a beautiful restoration. The interior on this thing is mint: the front bench seat is pristine black leather and the rear passenger compartment looks like a red velvet bordello. Listed as “one of the most desirable examples of the Hispano J12 in the world,” it should bring between $730,000-$1,100,000. Click here for more info. Hispano-Suiza’s H6C was last produced in 1929. The massive J12 could be had between 1931 and 1938 and the K6 was introduced alongside the J12 in 1934. It was built through 1937 with just 204 examples produced. Vanvooren actually bodied nearly half of all K6s built and this Pillarless Sedan is quite beautiful. It actually almost requires a double take to see that it is in fact a four-door sedan with those tight rear doors hugging the rear fenders. The engine is a 5.2-liter straight-six good for 120 horsepower. 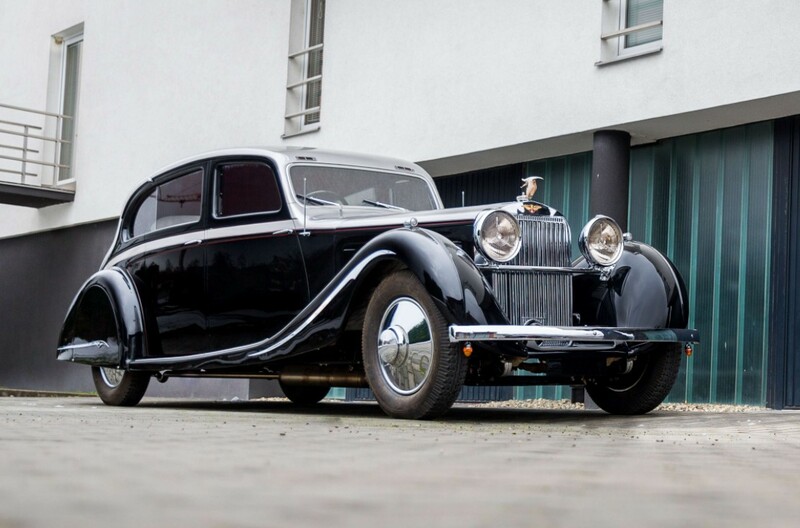 This was one of the last K6s built and one of the last cars to leave Hispano-Suiza’s factory before they closed and turned to military production. Hidden during the war, it changed hands first in the 1950s before making its way to Sweden and then it’s next owner put it in a museum. Restored after 2010 in Germany, this well-traveled Hispano-Suiza has been on museum duty for the last few years. But it should still bring a healthy $220,000-$315,000. Click here for more info and here for more from Artcurial.